It seems in the world of concept cars, no idea is too extravagant. 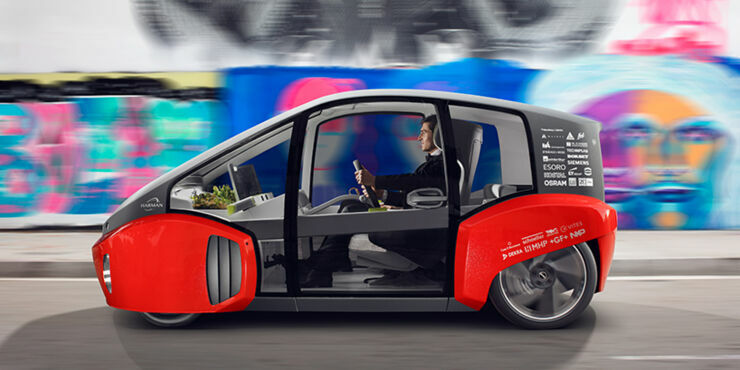 Take, for instance, Swiss company Rinspeed's rather radical idea for their Oasis concept car. The self-driving two seater, which is due to appear at CES 2017 and the 2017 Detroit Auto Show in January, harbours its own personal garden. 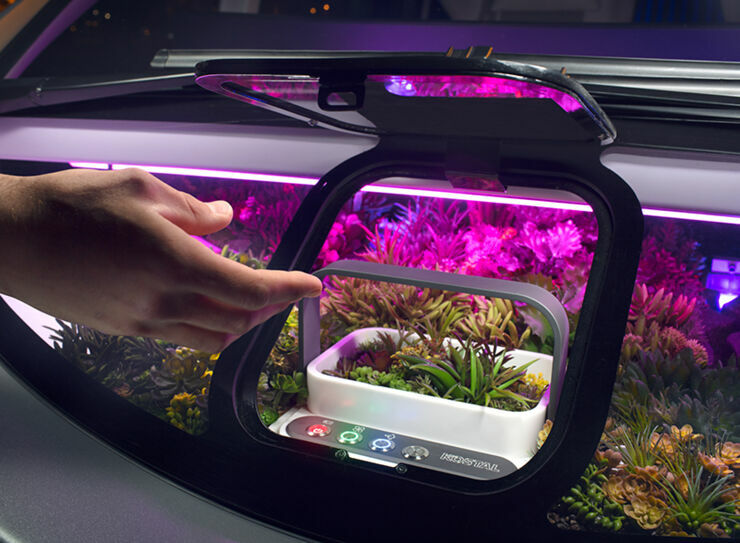 The garden is situated behind the windshield, is removable, and the company says has enough room for "growing radishes or even little Bonsai trees." Which, you know, is a really nice if baffling thing to have in a car. But that's not all the car has, because as well as letting you do some gardening to soothe the stresses of the modern world or keep you occupied between meetings, the car comes with some neat technology too. It can spin around on its two front wheels while at a standstill, like R2-D2 from Star Wars, thanks to its special steering angle, two in-wheel electric motors and torque vectoring. And comes equipped with the Harman LIVS technologies system (Life-Enhancing Intelligent Vehicle Solutions). 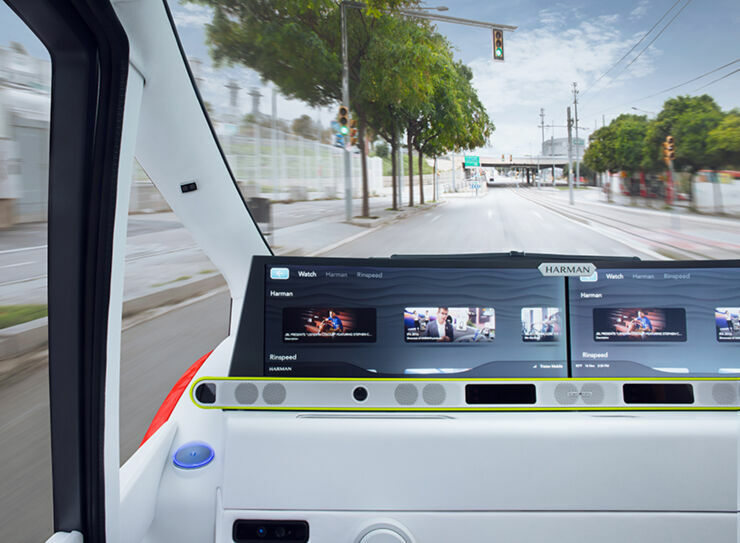 The system uses the car's 5K widescreen monitor and allows for gesture and voice controls, turning the car into a personal assistant. It means you can use social media to contact friends, book a table at a restaurant for dinner, or make Skype calls while working. As well as being autonomous the car will also allow for manual driving with a steering wheel unfolding from the dashboard. Before the driver is allowed to drive it though, they must pass a fitness and alertness test which aims to address issues that humans might not be ready to take over driving after a long time of inattention. It's also thought that the car can be used for more than just transporting its owner around, that it can be used for numerous tasks in a car sharing capacity. 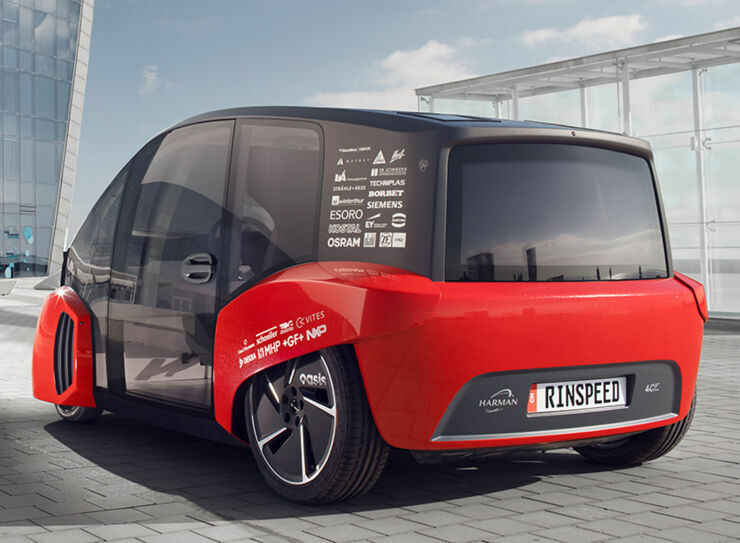 "Rinspeed boss Rinderknecht has designed and equipped the car to keep all conceivable options open - if society is willing to share goods in a beneficial way." says the company. 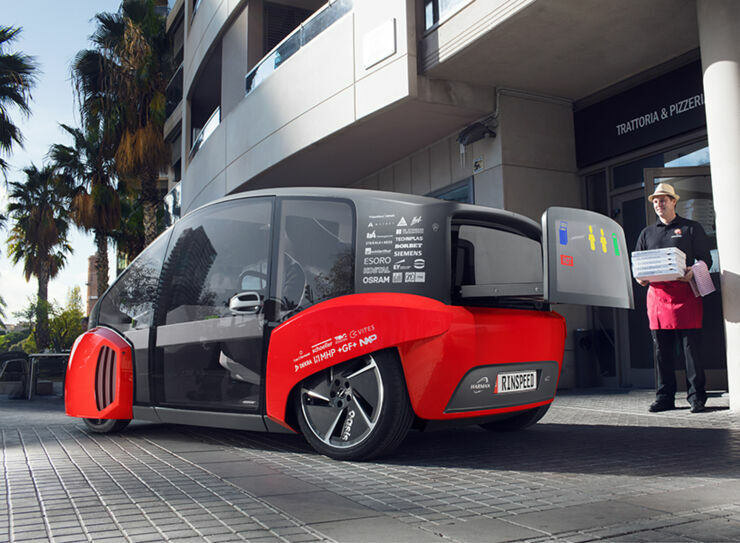 "Oasis can be a shopping cart in the morning, a shipping services counter for a parcel service in the afternoon, and a pizza delivery vehicle at night." These are just ideas though, the car itself isn't going to be available to buy anytime soon. 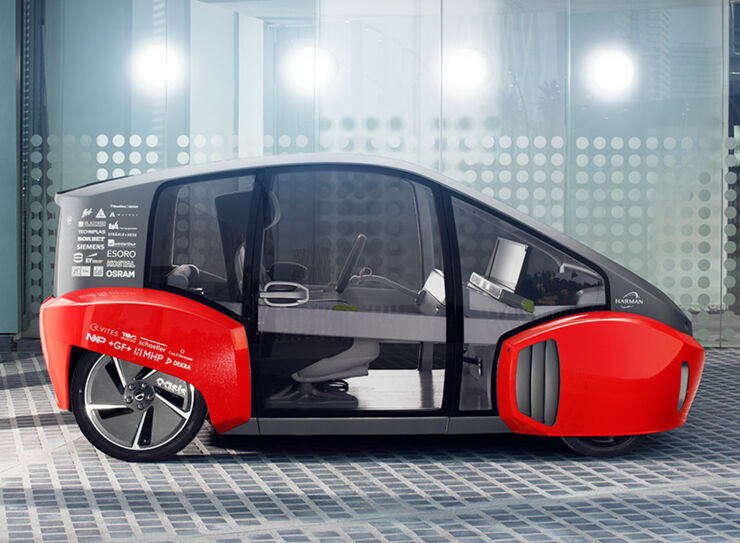 Instead it's aim is to show the possibly functions and uses for the cars of the future. Check out some concept pics of it below.